These are two of my nieces & both of them rule their own private worlds in which they are princesses. Just looking at their poses you can tell the differences in their personalities. 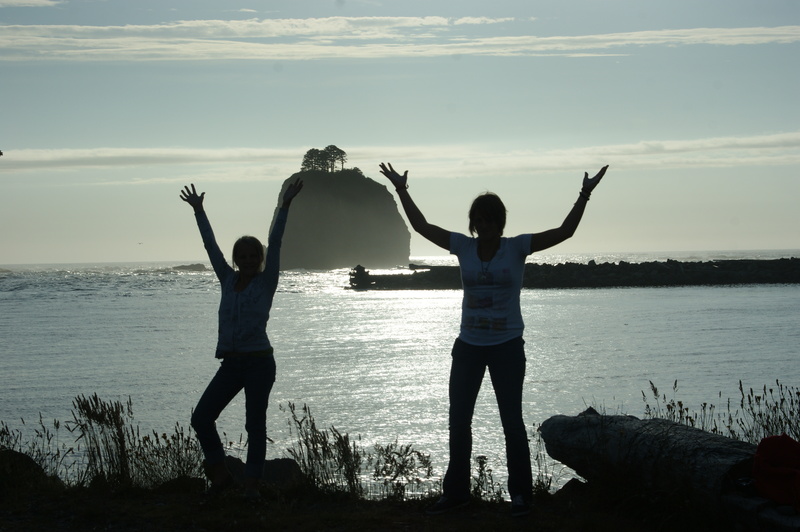 The photo was taken over on the Washington coast at LaPush. Another great find over the summer. 01 Sep	This entry was published on September 1, 2012 at 10:37 pm. It’s filed under Photography, Uncategorized and tagged Family, landscape photography, LaPush, Olympic Peninsula, Outdoor photography, photography, photos, sunset, Washington, Washington State. Bookmark the permalink. Follow any comments here with the RSS feed for this post.